It’s probably fair to say that most Irish people will have heard of Rockall through the Wolfe Tones’ “Rock on Rockall”, which doesn’t pull any punches in it’s territorial claims. The quintessentially British duo of Flanders and Swann also composed a lyric about Rockall, which you can find here. (They’re a lot more subtle). If anyone knows where we can find some audio of that to post, please comment. (We’re big fans of F&S’s Gnu song). There’s a good run-down of Rockall in literature and popular culture to be found here, and it tells us that “Ether”, the opening track on Gang of Four’s 1979 album “Entertainment” features a reference to our favourite little rock. And so it does, right at the end, in the shouty bit. 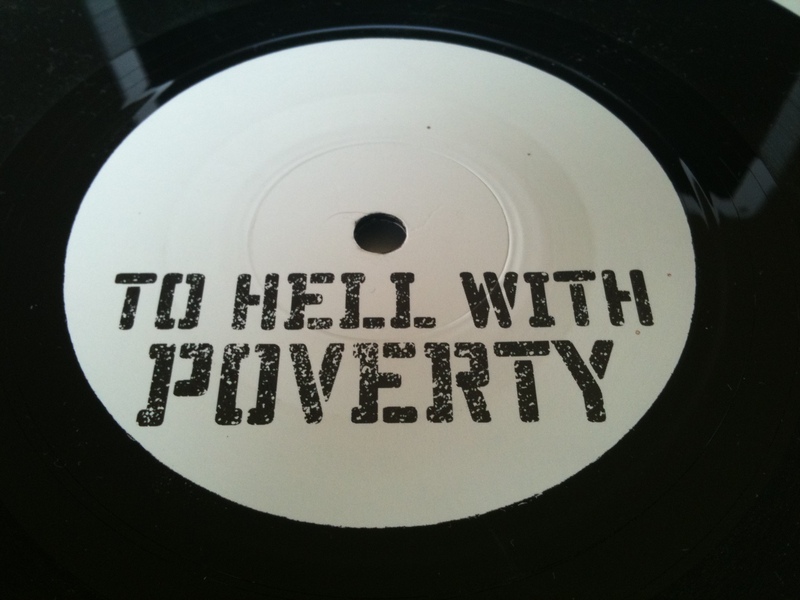 And that made me run upstairs and dig around for this 7" re-issue of GoF’s “To Hell With Poverty”. Icelandic group Mezzoforte recorded a tune called Rockall, which wouldn’t sound too out of place on an Earth Wind and Fire record. (That could be slightly odd, if you thought about it for long).